Recent clinical trial studies have demonstrated that the effects of acupuncture on pain improvement are small and no difference between acupoints and non-points. Whether acupuncture needles must be inserted in specific points depends on whether acupoint specificity exists that is still not resolved, and is now urgent. Previous anatomical studies have demonstrated that acupoints exist higher number of nerve fibers/trunks, blood vessels, hair follicles, and sweat glands as well as density of the gap junction. Recent evidence shows that nitric oxide (NO) level is elevated in the acupoints/ meridians and is associated with an enhanced expression of NO synthase endowed with transient receptor potential vanilloid type-1. 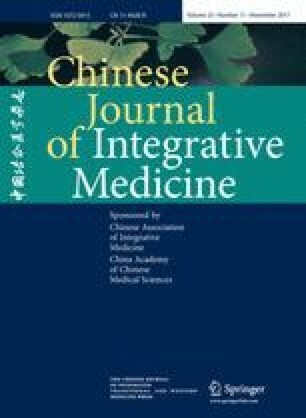 There is growing evidence from international groups showing that acupuncture induces NO-mediated vasodilatation, which increases local blood flow and allows for a flush of algesic or sensitizing substances, leading to pain relief. Previous studies, using a novel biocapture system, have demonstrated that NOx– (total nitrite and nitrate) and cyclic guanosine monophosphate (cGMP) concentrations are consistently increased over skin acupoints compared to non-meridian control regions (NMCR) in humans. Dermal microdialysis in humans showed that NO-cGMP releases in the subcutaneous tissue of acupoint are higher than those in NMCR and increased by electroacupuncture (EA). Recent studies have demonstrated that low-frequency electrical stimulation and manual acupuncture with low stimulating force and rate produce an elevation of NO release predominantly over acupoints. In contrast, NO levels over the areas of the skin regions are moderately reduced by high-frequency EA stimulation. The results from anatomical and biochemical studies consistently show that acupoints exist higher levels of NO signaling molecules, and stimulus-evoked NO release is also with a higher level at acupoints. Results suggest that NO signaling molecules contribute to the specificity of acupoints, and selecting well-trained acupuncturetists for using correct acupoints and appropriate parameters should improve acupuncture clinical trial studies.